Apps4Review.com | Maid de Camera- For One Who Loves Photo Albums ! 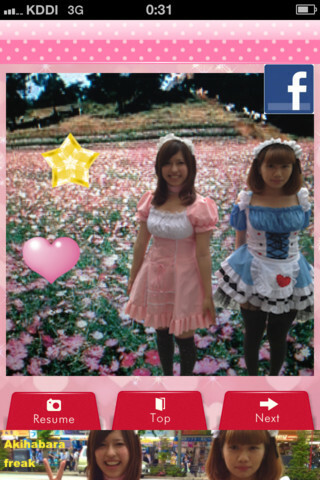 Maid de Camera is an iOS app that brings back the Japanese cultures of Akihabara and cawaii. The basic idea is derived from restaurants that have cute maid cos-players to serve you, dressed in pretty frilly dresses and having rabbit ears. These maids are not only very cute but also very adorable and sweet, making you feel really special as they serve you in a royal manner. This fashion is seen in Sotuh Asia, especially in Japan. The app gives this idea a new lease of life by making an app based on this theme and making it available in the app store. 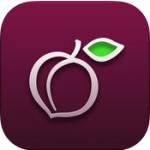 Developed by ImageX, this app is compatible for iPad, iPod Touch and iPhone, requiring iOS 4.3 or later. 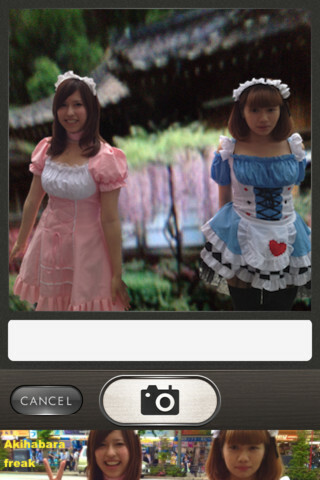 The app brings you to the world of maid cos-players right on your iOS device. 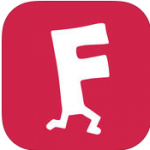 To put it simply, this app is a store with many pre-designed photo frames that revolve around the theme of ‘Japanese version of French Maids’. All you need to do is select a photo of yourself, choose a frame and get yourself fitted in there. Just a bit of editing and it will appear as if you were right there and clicked a photo with her then and there. There are photo frames and also stamps such as Strawberry, Hearts, Apples, Stars, etc and so many others to add to your photo. Choose stamps of your choice and place them anywhere you like on the photo. You will then obtain a lovely picture of you with a maid. The User interface of this app, although simple, is very attractive. There are very girly colors that have been used for it. To put things simply, its like this app has been created keeping girls in mind as it has a very feminine feel to it. There is no restriction, however, on who can use the app. 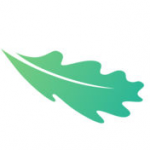 This app allows you to directly share clicked photos on your Facebook. 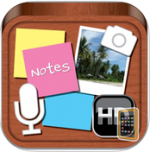 Maid de Camera is available in the App Store, from where it can be downloaded for free. It really is not worth spending any money on. For one, the app is very girly. Second, it is nothing but a collection of photo frames based on a slightly unusual and different theme that might interest and excite you at first. However, you will outgrow it quite soon for all you know. Yes, the theme is very out of the box but once you use it a few times, you get bored of it and want something else. If you wish to muse yourself for a while and like to have pretty cute pictures of yourself with lovely maids, then this app will catch your fancy for sure. There will be a time when you will wish for more but till then, the app is quite enjoyable and pleasing. Once the idea gets on you, you will want to move on to something else. For the pretty girls, the stamps and maids are sure to make you some excellent photo frames without fail.